It's easy to be inspired by my friend Sarah to get up and get some things done! She just posted about how much she got done this month, and she's one of the most consistent bloggers I know. Whew! But I wanted to share this one moment of personal triumph. 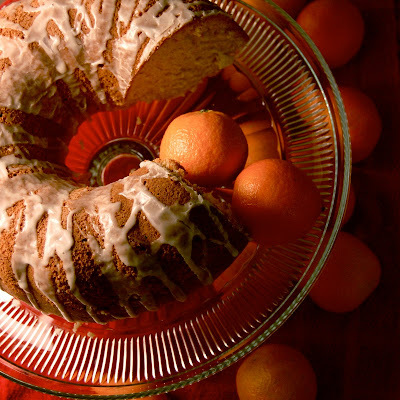 Orange Cardamom cake-- it's light, citrusy bliss. Try the recipe! Having this on hand may mean you throw an extra mile onto the jog, but it will also mean that you're more likely to invite over a friend during the week to sit and catch up over tea. I hope you find a moment or two like that this week. My friends have a fabulous store in Cleveland, TN called Paisley! They're giving away an awesome monogrammed stamp this month (so nerdy, but I have always wanted one!). I'm hesitant to let you in on the deal (ha!) but I love them enough to shamelessly market them myself. If you want in on the giveaway, visit here!